Free Cloudflare Account with Silver, Gold and Platinum WPhost plans. At WPhost, you’ll already get top performance out of even the highest traffic sites, but if you want even more speed, opt for our Silver, Gold or Platinum plans to take advantage of Cloudflare. Adding Cloudflare to your WPhost plan will further accelerate page load speeds, improve SEO, and protect against DDoS attacks and WordPress-specific vulnerabilities. Cloudflare’s global Content Delivery Network of 151 data centres across 58 countries reduces latency and time to first byte by delivering content as close as geographically possible to visitors. And while most WordPress sites don’t need to worry about DDOS attacks, Cloudflare is excellent at preventing DDOS attacks since your server’s IP address is masked. Automatic cache purge on website updates. Mixed content fixes with automatic HTTPS rewrites. Adding Cloudflare to WPhost will make your website even faster... And safer. Protect Internet applications and APIs from malicious traffic targeting network and application layers, to maintain availability and performance, while containing operating costs. Cloudflare's Performance and Security Services work in conjunction to reduce latency of web sites, mobile applications, and APIs end-to-end, while protecting against DDoS attack, abusive bots, and data breach. With 151 data centres across 58 countries, Cloudflare’s Anycast CDN caches static content at the edge, reducing latency by delivering assets as close as geographically possible to visitors. 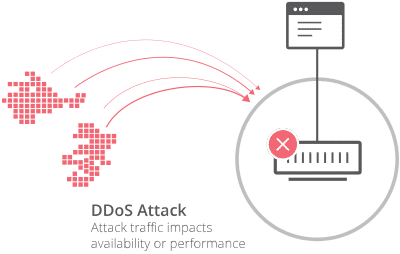 With 151 data centres across 58 countries and 15 Tbps of capacity, Cloudflare’s Anycast network absorbs distributed attack traffic by dispersing it geographically, while keeping Internet properties available and performant. Cloudflare includes a suite of web optimizations to improve the performance of Internet assets. Optimizations include the latest web standards, such as HTTP/2 and TLS 1.3. Cloudflare is the fastest managed DNS provider in the world, routing over 38% of all global DNS traffic. Cloudflare has multiple ways to achieve maximum performance for online assets.